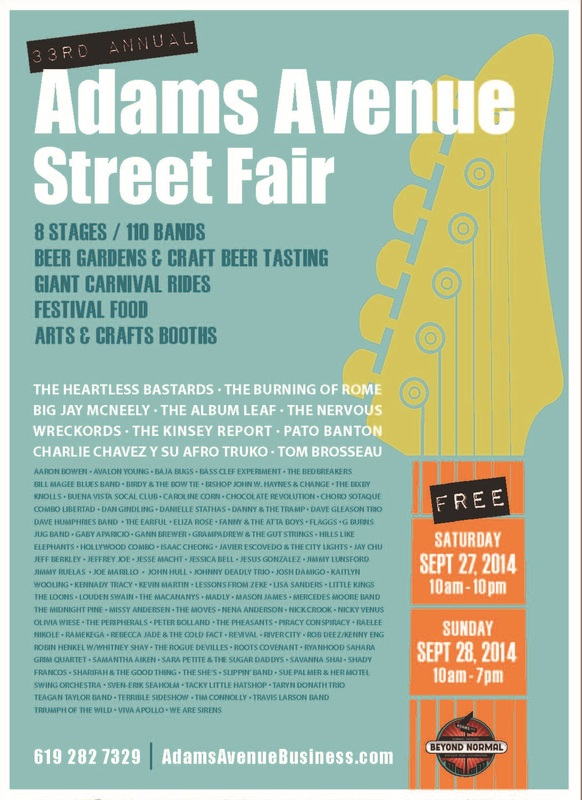 So excited to be performing at the Adams Avenue Street Fair on Saturday, Sept 27, 2014 at noon with my early jazz duo, Birdy and the Bow Tie! Bring your ukulele! Bring your mom! Bring you dancing shoes! San Diego Music Award Nomination!